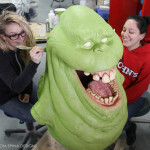 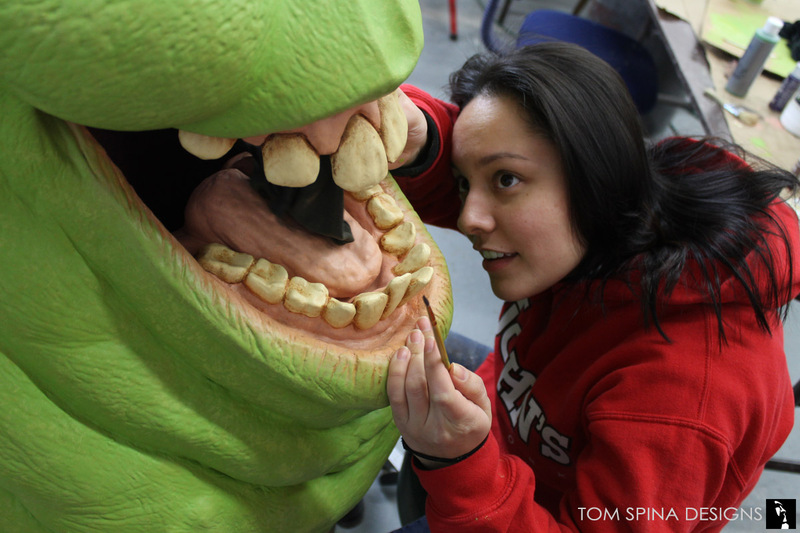 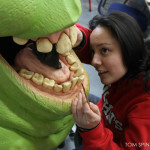 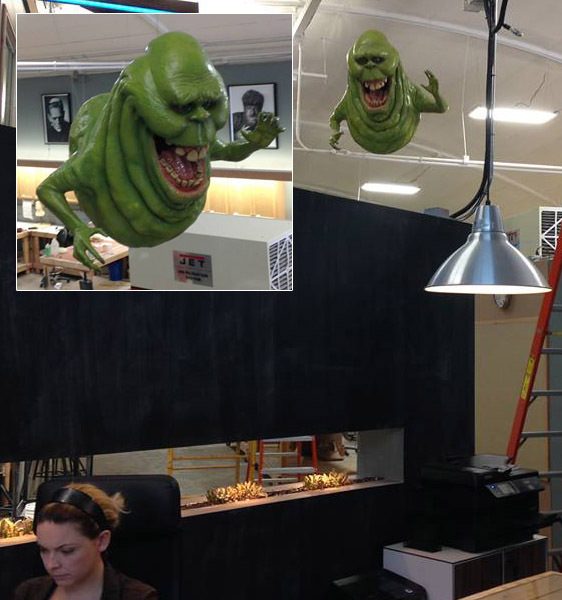 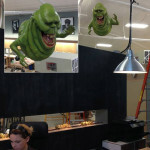 Life size Slimer from Ghostbusters returns from the grave to fly once again at his original creator’s new studio! 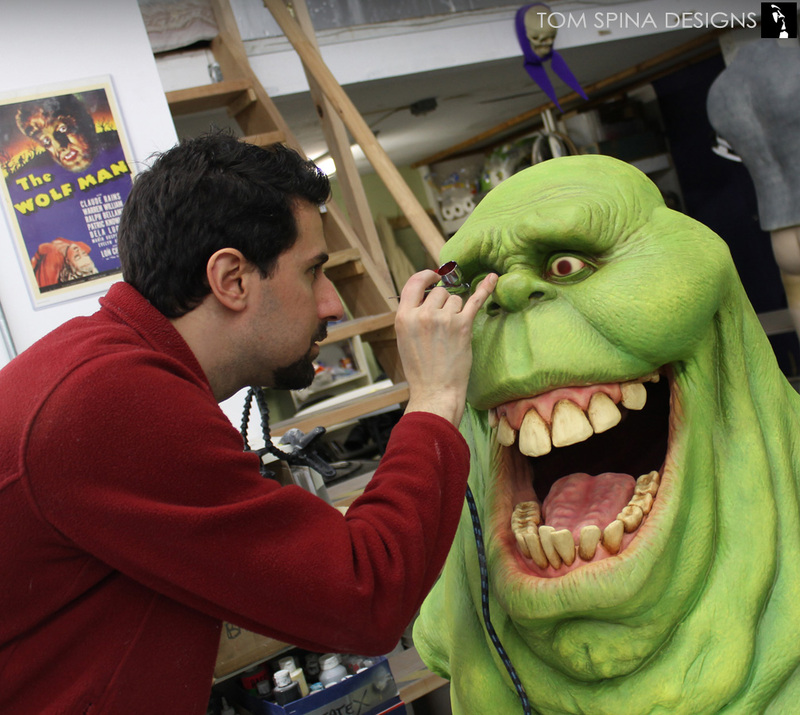 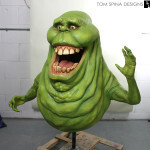 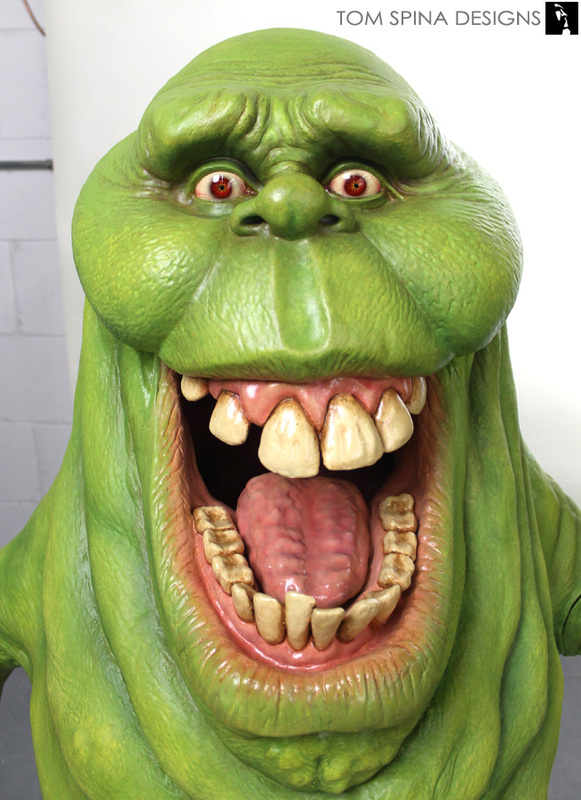 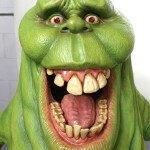 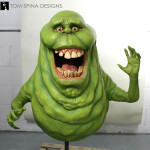 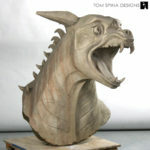 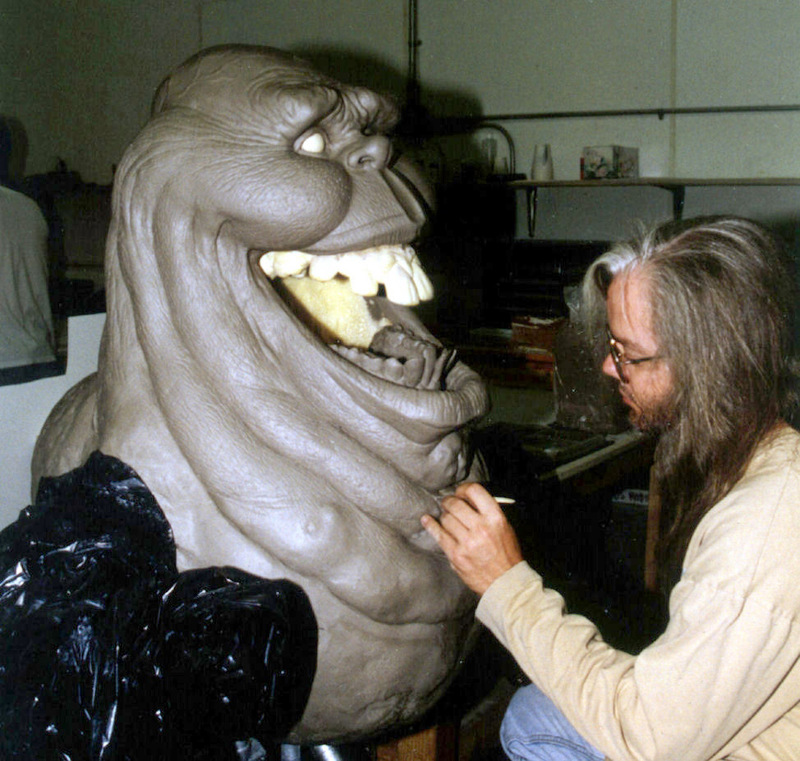 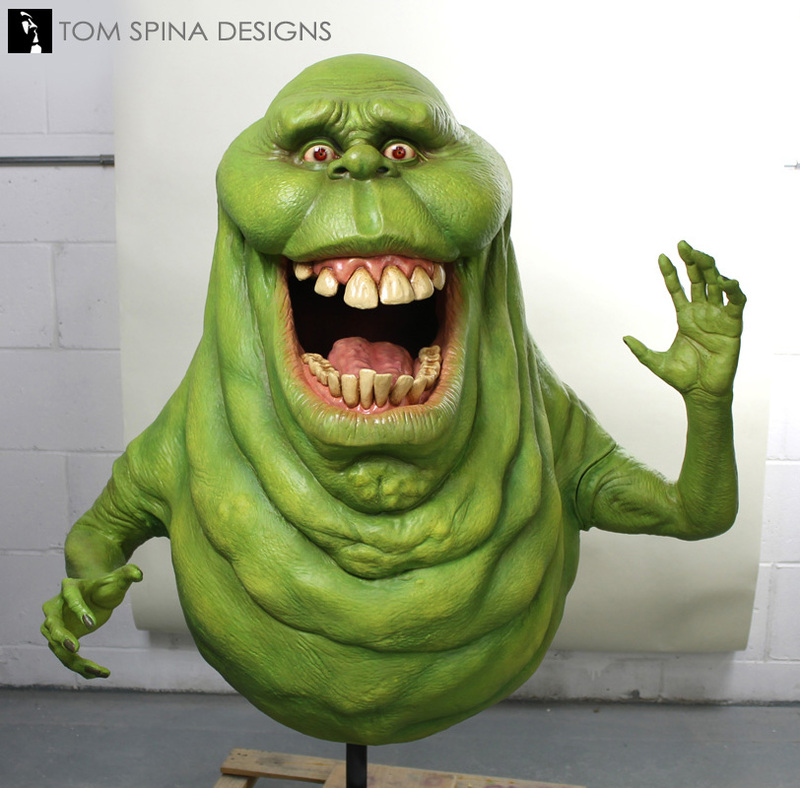 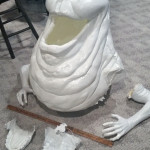 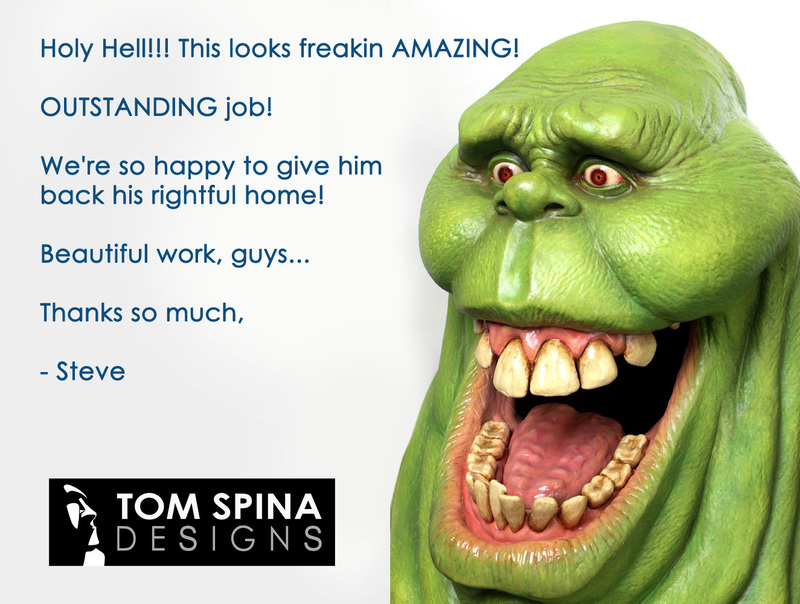 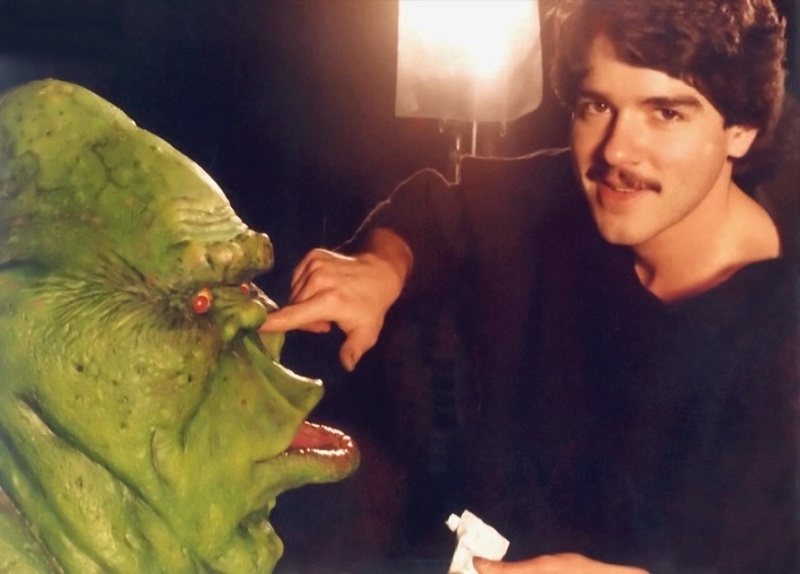 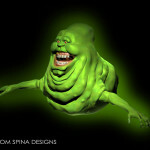 Years ago, Steve Johnson’s XFX studio, the original creators of Slimer from Ghostbusters created a life sized prop style statue of the character for their lobby. 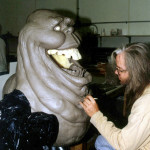 Sculpted by Andy Schoenberg, the full scale (1:1) statue has long been thought of as the best representation of the original 1984 film’s ghost. 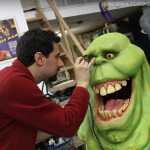 Andy really captured the feel of the original film costume, perhaps with a very a slightly friendlier expression than he got to use in the movie. 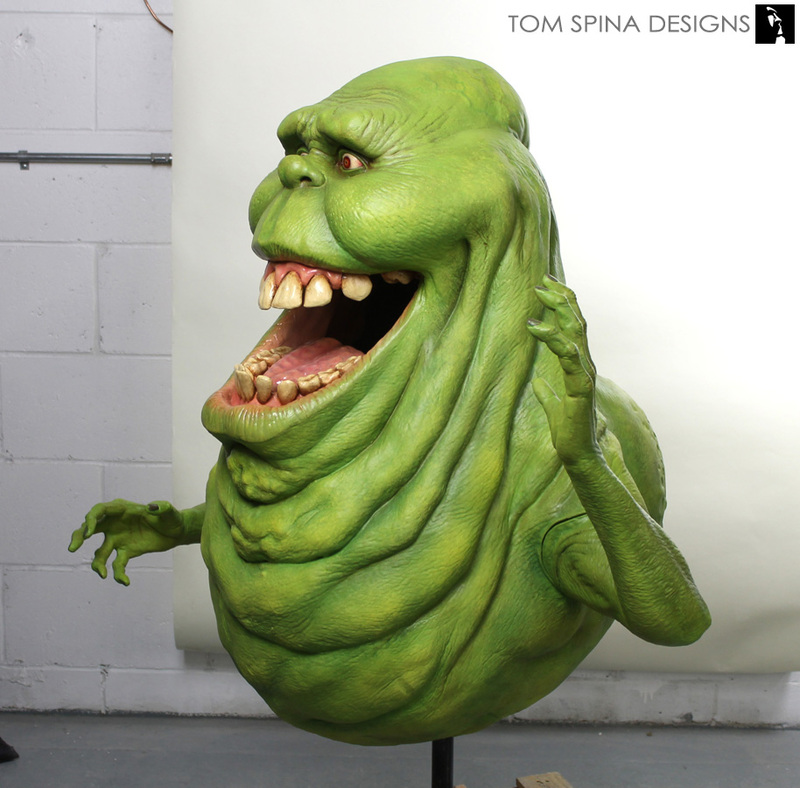 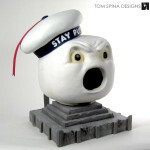 Many years later, that life sized Slimer statue was damaged beyond repair after a shipping mishap. 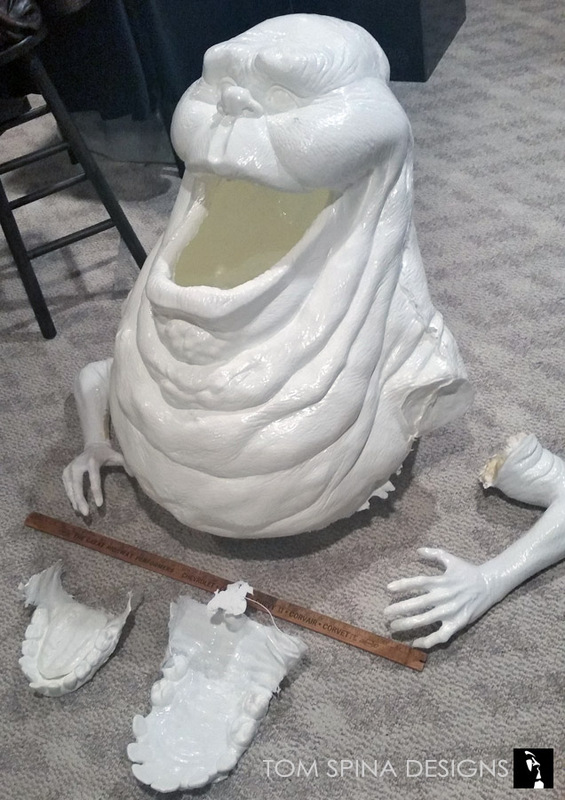 An artist and friend of ours, salvaged what he could of that statue and created a set of molds from it, ultimately allowing the piece to live on in the form of a “kit” of parts that could be assembled to once again create the ghost! 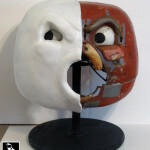 We were honored that Steve Johnson asked us to take one of those kits and assemble and paint it as decoration for his new studio, Brick and Mortar Productions, where he is now proudly displayed! 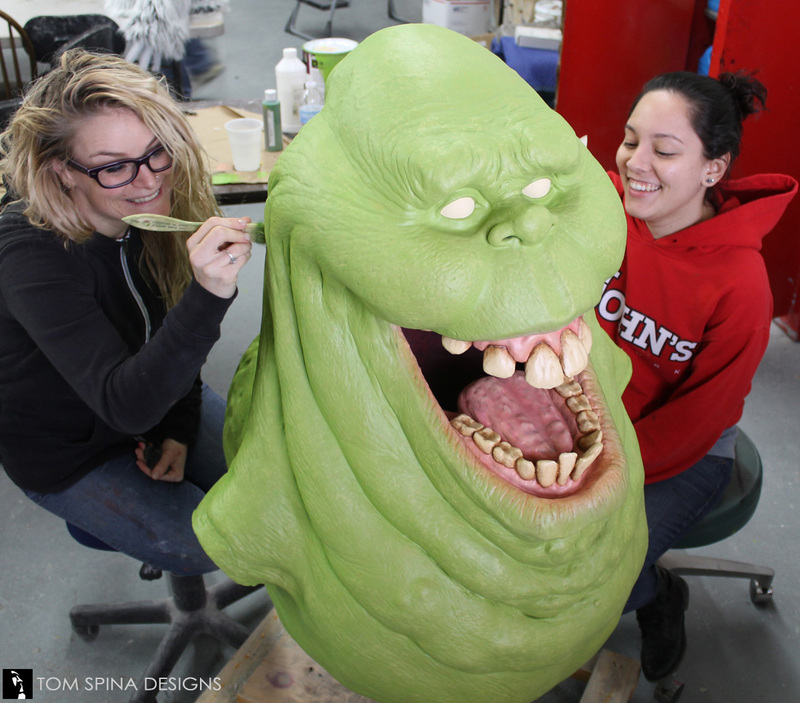 Want to see more of Slimer's restoration?